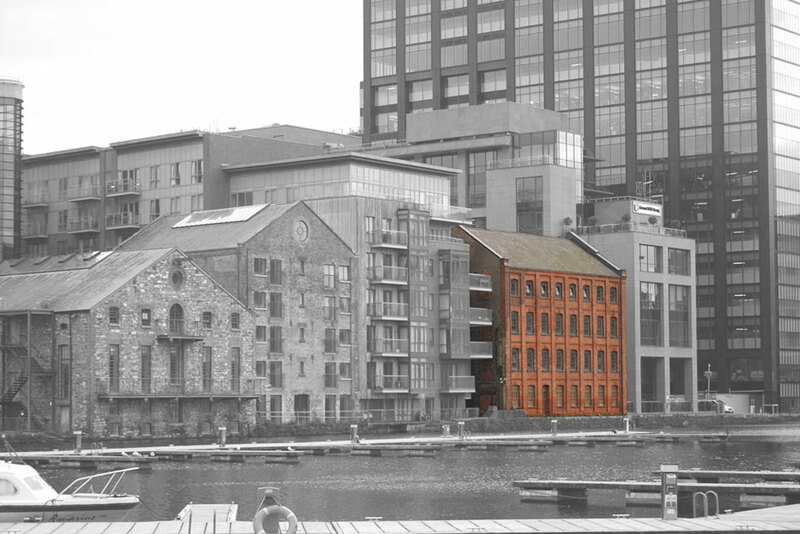 The DockMill was one of the last Warehouses on the inner Dock to be developed on the water front. 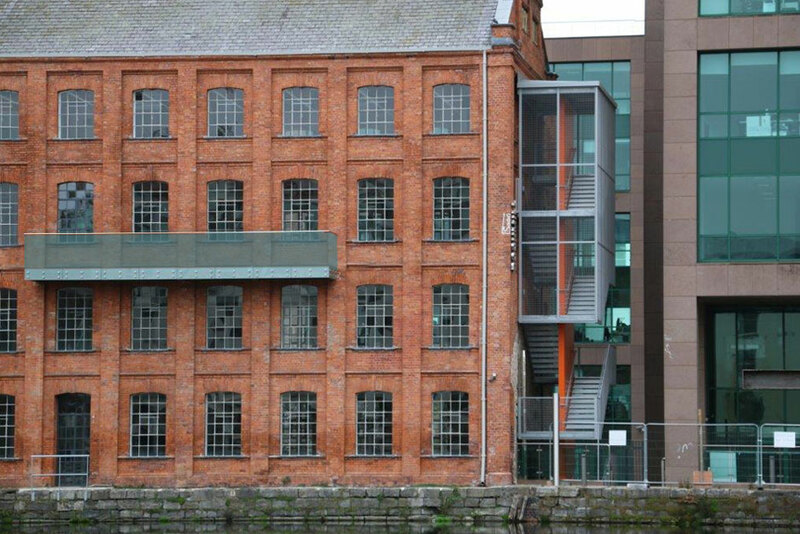 The building was refurbished from very poor condition.The challenge presented to us on first viewing Dockmill were varied. 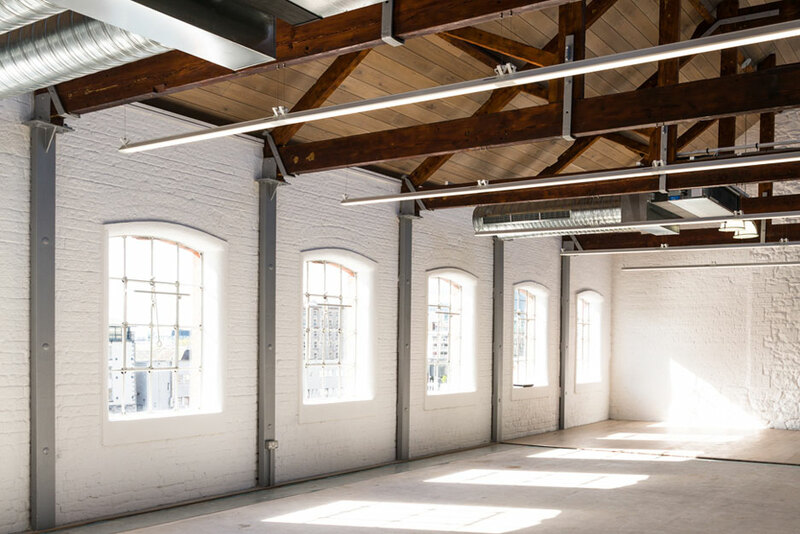 Take a protected structure with an industrial history and a barely started residential conversion and provide a vibrant modern work environment suitable for the needs and wants of discerning contemporary businesses. 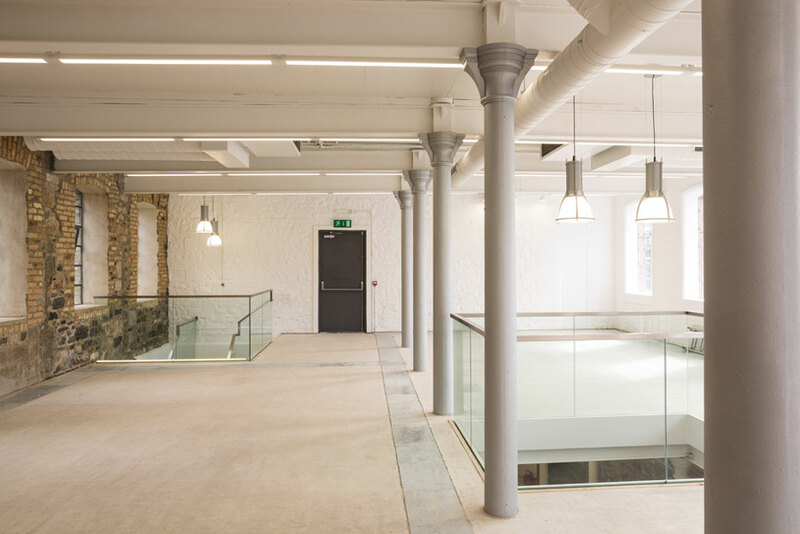 A light touch was required to maintain the integrity of a building which retained many of its original features. 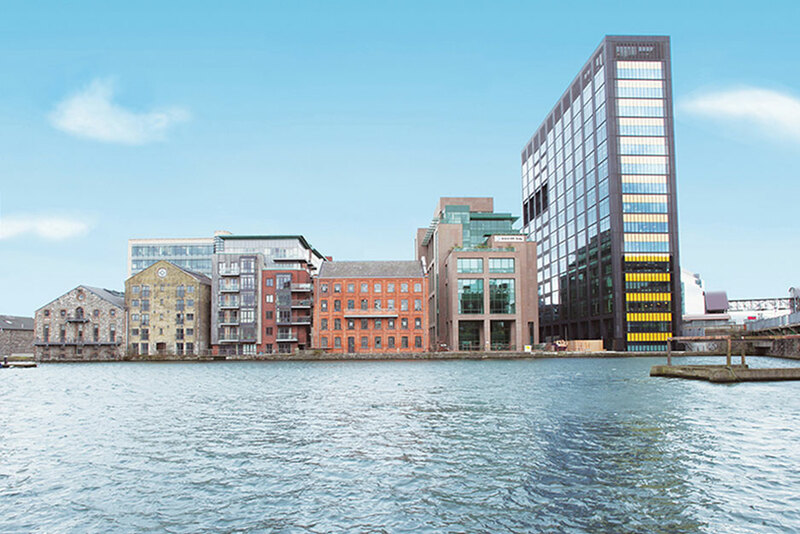 Shortlisted for the CONSERVATION AWARD in the Irish Independent Property Excellence Awards 2015. 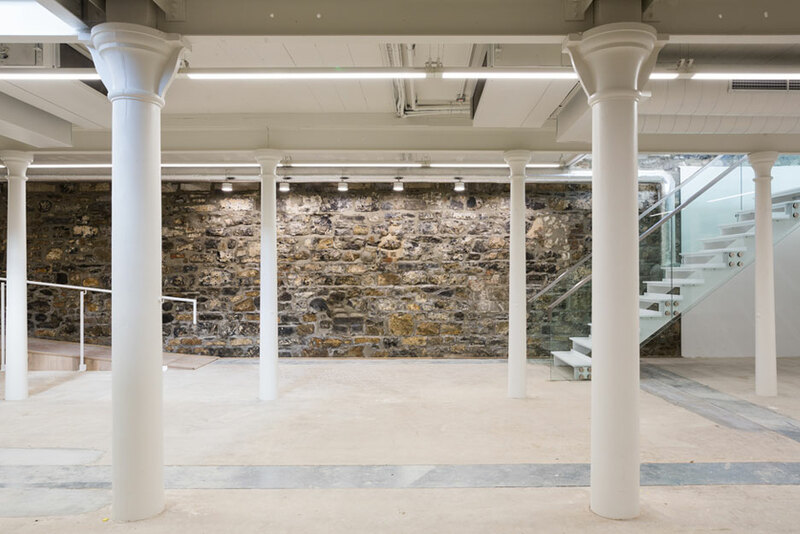 Restored steel framed windows and a renovated cast iron internal structure in conjunction with the use of natural breathable internal renders over varying generations of brickwork and masonry write an ongoing story of the structure. 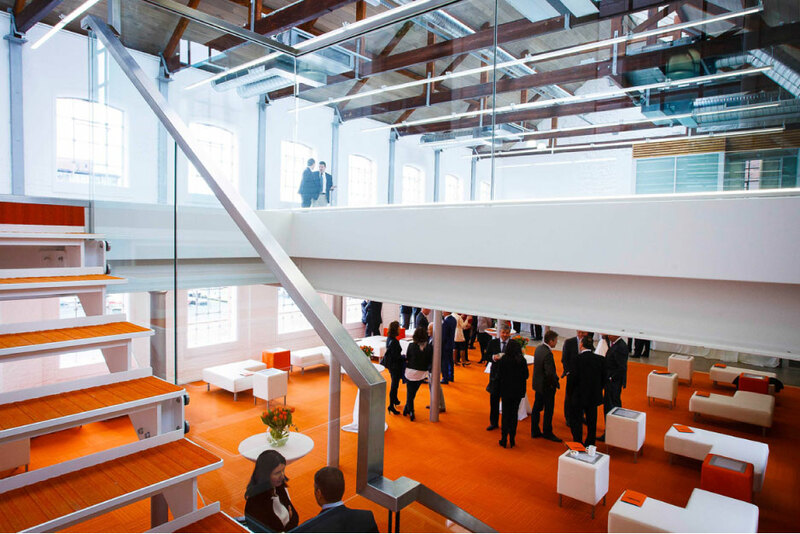 Adaptable reuse as a concept led to the incorporation of original floorboards into floors capable of servicing hi-tech industry while also heating the entire structure. 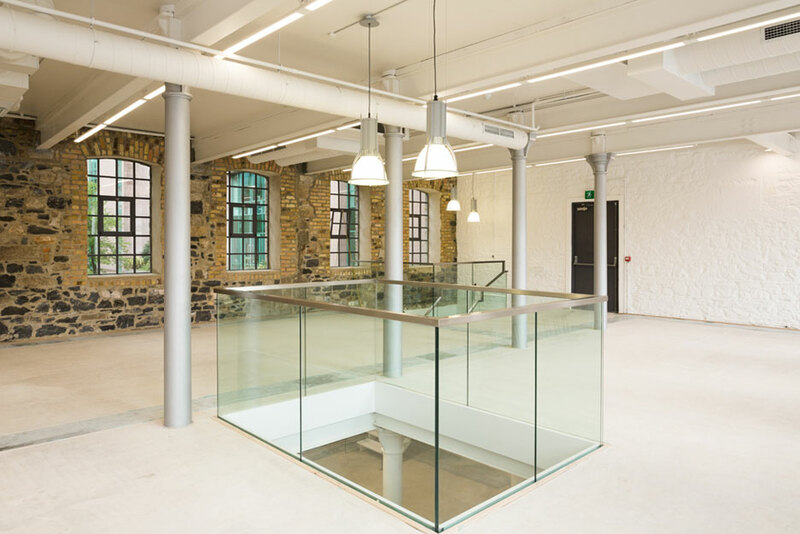 The modern additions are fully readable and removable, encompassing highly efficient ceiling mounted mechanical services designed to remain exposed and to complement the rhythmic formality of the aged cast iron, glowing glazed pods housing the sanitary provision required in a commercial building of its size, internal feature stairs and voids linking floors and providing vertical visual linkage. 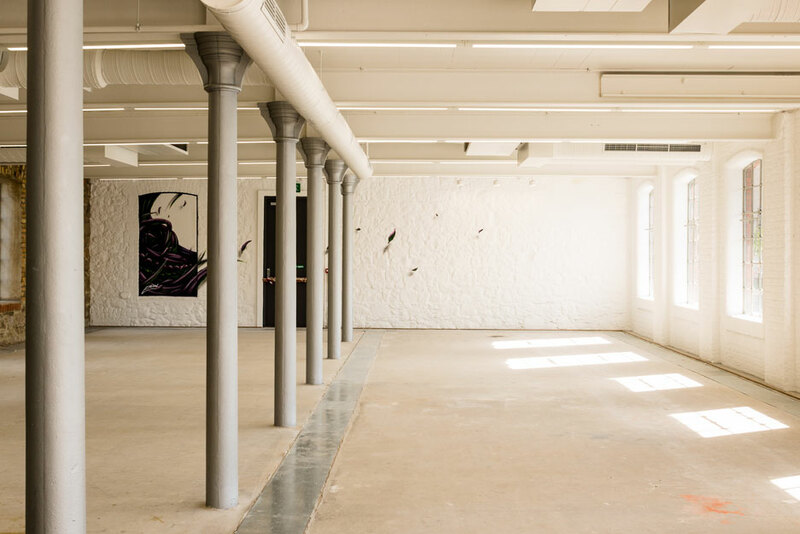 The expressed external elements serve to act as a counterbalance to the Victorian mass of the original building allowing even the casual observer to read the evolving history of reuse of the structure. The decision was made to avoid convention when providing a fire escape. This was going to be a highly visible element on what was a tight site. 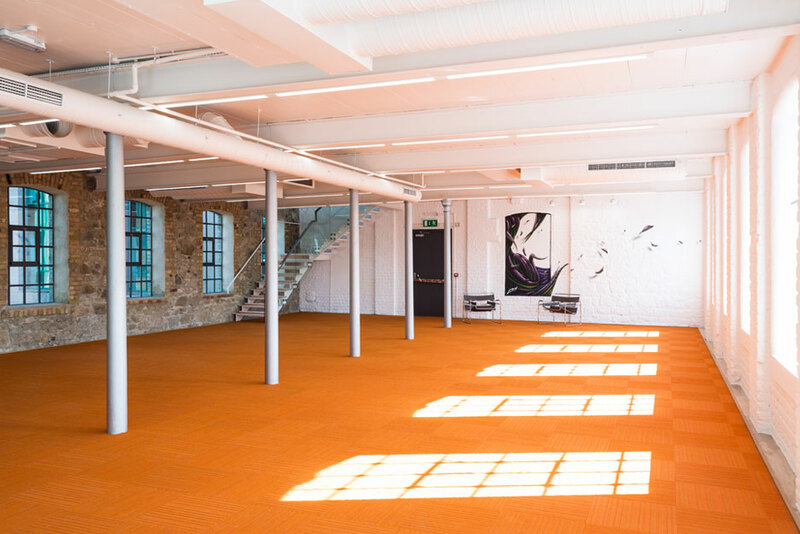 The constraints of the site prompted the use of a highly engineered approach to the provision of the feature, flights cantilevered from a perilously slim yet thoroughly robust central spine which has been emblazoned in vibrant orange, a theme carried through the entire project.